"Gera Dahliengarten" by Steffen Löwe - Own work. 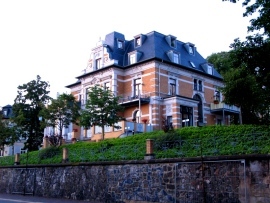 "Villa haeussler gera" by Frank41542 - Own work. 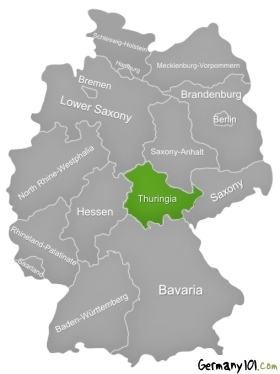 Thuringia is not the first region visitors to Germany think about. It is actually one of the regions least frequented by visitors from other countries, and you might find that many people there don't speak English very well unless you go to the bigger hotels and tourist attractions. So why go and visit this region at all? The answer is: the great quality of the food, and the huge number of luxurious spas. Thuringia might not be over-filled with traditional tourist attractions, but it is a great place to relax, enjoy life, and visit some lovely forests. Yet this does not mean that there aren't fantastic cultural attractions! Thuringia is simply a secret gem - the local German holiday makers themselves certainly know how to enjoy that area. The best time for your visit depends a lot on what you would like to do. If you would simply like a relaxing spa and food holiday, then any time of the year is great. In winter, you will enjoy staying indoors even more, maybe sitting in a hot whirlpool while watching the snowy landscape outside. In the warmer seasons, you can enjoy sightseeing at its best and go for some fantastic hikes in a region full of mountains and forests. Weimar is a cultural gem, and has a whopping 16 World heritage sites (which includes sights and objects). Weimar is famous because of the Weimar Classical Period and because of names like Goethe, Schiller, and Nietzsche, who all regularly visited Weimar. Places of interest in Weimar are the Goethe House, Goethe's Garden House, the Bauhaus Museum and the three palaces (Tiefurt, Belvedere, and Ettersburg). All these sights, the various gardens in different styles, and many other themed museums turn this city into a perfect getaway for lovers of literature, culture, and art. Of course, this city is also a great place for a spa holiday in a wonderful setting. Go and explore Weimar during the day, and then come back into your spa hotel to treat your tired leg muscles. The Wartburg Castle might be a castle you know from posters and postcards. 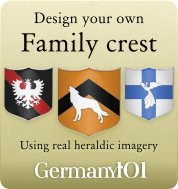 It is one of the most famous castles in Germany, and also an UNESCO world heritage site. Did you know that Thuringia is the German state with the most world heritage sites? Now you do. And yet it is not such a famous region for tourists. The Wartburg Castle should be a must on your list if your visit Thuringia. You might also want to plan your visit for a time during the months from April to December, because there are many fantastic concerts you could visit during that time. This castle is not only famous for music, but also for the fact that Martin Luther King translated the New Testament from Greek to German in this castle. Literary lovers might know that the legendary battle of the bards was also in the castle's history, and sometimes events are held to commemorate this old tradition. And yet another world heritage site. This time it is Europe's biggest coherent deciduous forest. You can go for a short walk of just a few hours (try the Treetop Trail), or go for an adventure that might as well last a few days. It is a paradise for hikers, campers, and nature lovers. Not only can you see many different plant species in this unspoilt area, but you will also be able to observe a lot of native wildlife. You can also go on tours guided by rangers if you don't feel like heading into this huge forest on your own. Outside of well visited tourist centers, many people don't speak English very well, so it is important that you plan your trip to Thuringia very well. Book your hotels in advance, and make sure that you have a rough plan of what you would like to see during your stay. The bigger cities like Weimar have good public transport, and there are trains and local buses that connect cities and towns with each other. If you plan on using public transport, then it is advised that you get some information about this before you travel because in some smaller places the public transport system can be somewhat limited, and some days might not have any options at all (e.g. Sundays, and limited services on Saturdays). So you need to plan your travels accordingly, otherwise you might be stuck in a place for a day longer than you wanted to. During the summer holidays, and other local holidays, some popular hotels will also fill up with local holiday makers quite quickly, so it pays off to book your rooms in advance, or avoid the German school holidays.